Announced jointly by Leap Motion and HP yesterday, the HP ENVY 17 Leap Motion Special Edition is a new version of the standard HP ENVY 17.3-inch laptop with a built-in Leap Motion sensor that provides 3-dimensional gesture control to users. Much thinner than the regular Leap Motion standalone sensor, the embedded sensor is located to the right of the touchpad and below the keyboard. In order to take advantage of motion control, the user places their hands above the sensor approximately six to twelve inches and perform various gestures depending on the application running on the laptop. 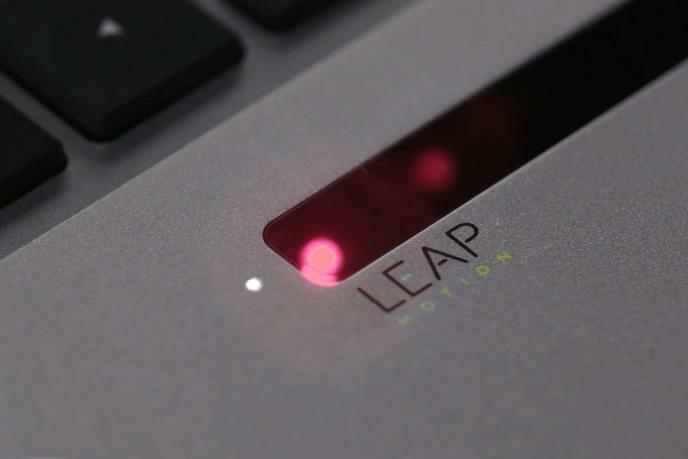 The laptop will come preloaded with Airspace, Leap’s application store for 3-D motion controlled software such as games, educational programs, productivity apps and creative tools. In addition, Leap will include five games, one of which has been specifically designed for HP. While the laptop includes the option of a touchscreen monitor for Windows 8 interactivity, users can also download third party software to map gesture controls to the Windows 8 interface. Hypothetically, users could navigate Windows 8 without ever actually touching the laptop. One downside to the Leap Motion sensor is that the laptop battery will quickly run out of power, so much so that HP recommends plugging the laptop in before turning on the sensor. To turn the sensor on and off, HP has included a shortcut on the keyboard. Regarding the other specifications for the laptop, it comes with a 1,920 by 1,080 IPS display, up to a 2TB hard drive, up to a Core i7 processor, up to 16GB of RAM, HDMI out and a Nvidia graphics card.